The time has finally come to give your skin the full treatment it deserves. The OxyGeneo Super Facial is not only a fast and simple treatment, but provides amazing results including evening texture throughout the skin, nourish the complexion, and improves overall skin tone. How does this super facial work though and what exactly makes it so super? For the OxyGeneo Facial, three major steps are taken to treat your skin. Exfoliation: Here the outer skin layer has the dead cells removed from the surface to prepare the skin for the nutrients it will later absorb. Infusion: Next the patented Capsugen capsule and nutrient rich gels are applied and create a chemical reaction that creates small CO2 bubbles that will gently burst on the skin’s surface, allowing the skin to more readily and easily infuse with the essential nutrients provided. Oxygenation: Because of the CO2 bubbles formed from the Infusion, oxygen-rich blood now naturally begins to flow and metabolize essential skin nutrients in the skin. Is this treatment invasive at all though or takes a long period of time? Not at all! This super facial is fast and needs no injections or any surgical methods applied. With such an effortless way to start rejuvenating the skin, it’s easy to see how the OxyGeneo Super Facial got its name! To see long term results with the facial, a treatment series may need to be scheduled so feel free to ask any questions and call now to make your appointment and start caring for your skin now! What should I expect after OxyGeneo treatment? After the OxyGeneo™ treatment, your skin is rich with oxygen and nutrients. The skin will be smooth, soft, shiny and radiant. It will feel fresh, soft, active and revitalized. How does the OxyGeneo oxygenate my skin? OxyGeneo™ capitalizes on the Bohr Effect, named after the famous scientist Christian Bohr, who discovered it in 1904. The effect indicates that when CO2 (Carbon dioxide) concentration increases, the hemoglobin releases oxygen from within. The OxyGeneo™ interaction between the capsule and the treatment gel creates abundance of CO2 on the skin that triggers the Bohr Effect. This process oxygenates the skin naturally. Oxygenating the skin is beneficial in all anti-aging and corrective skin procedures. The OxyGeneo™ treatment feels similar to a massage for the face. The exfoliation is described as very refreshing and comfortable. This treatment does not use vacuum procedure. OxyGeneo treatment is very soothing and relaxing. Many clients fall asleep and wake feeling rested and rejuvenated. Yes you can! 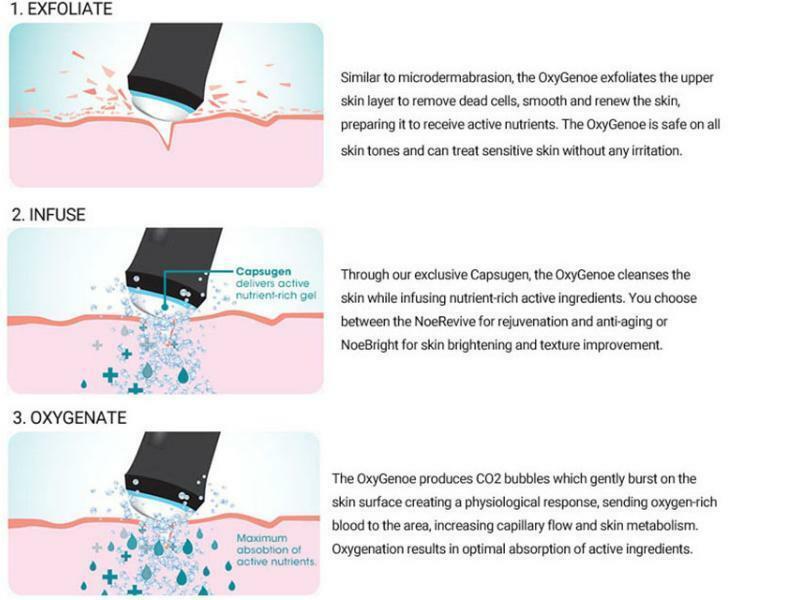 The exfoliation process isn’t irritating and because the OxyGeneo™ is a non-vacuum device, you can treat the entire face even if it is affected by simple acne. Feel free to talk to us about your specific skin concerns. If you have sun damage, acne or other skin issues, we recommend once a week treatments. Once your skin issues are resolved, Oxygeneo is used as part of an on-going anti-aging maintenance program, with recommended treatment frequency of once a month. 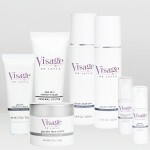 Your Spring Mist Milton Spa skin care specialist will set you up with a schedule that best suits your needs. Can I have OxyGeneo™ treatment to look better before a social event? Yes! The OxyGeneo™ treatment has no downtime. Your skin will look and feel great right after the treatment. Schedule your OxyGeneo™ treatment on the day of your event or one day before. The amazing results of your Oxygeneo treatment will be well visible during the event.